Choosing to retire is a big decision. Many retirees contemplate retiring for months and even years. Many retirees invest their entire working lives in the same company, dedicating decades to ensure the success and productivity of a business. Because of this dedication and time, those who choose to retire should be recognized for their years of service.Retirement awards are an essential practice to any business. Retirement awards are also the last opportunity to show an employee your appreciation for their hard work and dedication of service. If it is not a common practice within your business to honour retiring employees with awards and plaques, it may be something to consider, as they hold significant value to people. It is quite common for businesses and employers to honour retirees with parties, gatherings, and ceremonies. Such occasions focus on the accomplishments and dedication to the company. It is also common to hold a luncheon during the work day or a dinner during the evening, so that family members can partake in the celebration. 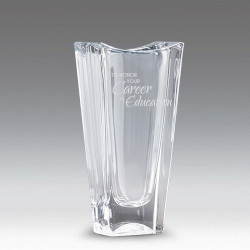 It is during the luncheon, dinner, or party that an award be presented to the retiree. After a lovely meal, the retiree is honoured with a plaque detailing the years of service and contributions to the company. In addition to the award/plaque, it is also customary to present retiring employees with a gift. The gift often reflects the person’s personality, his/her hobbies, and/or his/her plans in retirement. The gift adds a simple and lovely touch to a special occasion.